Sometimes we need vertical menu, or menu with sub menu. 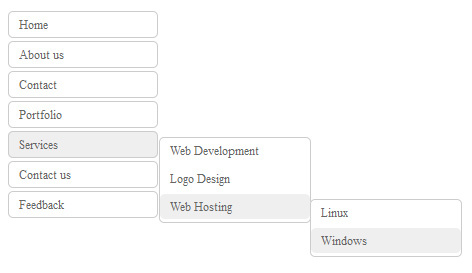 We can create multilevel vertical menu using only CSS. It is very simple and easy. http://thinng.com/yi Says: You will love them Jennifer. I plan on reading the other books in the series this summer too.